Proper funding of the trust at the outset and maintaining correct funding over time is essential. Imagine a wise and wealthy farmer. This farmer has lots of valuable property, from expensive tractors and other equipment to prize-winning livestock. Because of his wealth and wisdom, this farmer determines it will be a good use of his money to build a barn to hold and protect each of these assets. 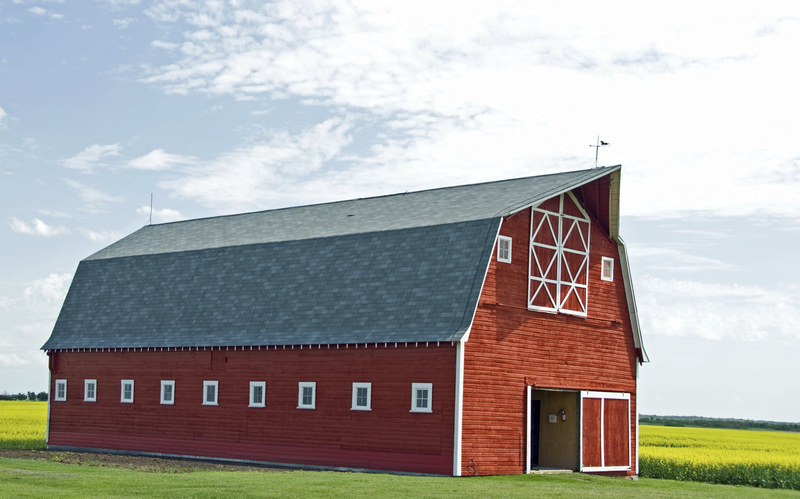 He, therefore, enlists the very best contractors and spends a sizable amount of money in the construction of a barn. When the barn is complete, the farmer is very satisfied with the vastness, beauty, and majesty of his barn (since he’s a farmer, he is permitted to get this excited about a barn). Well, after a few days of celebrating his barn, the farmer then turns his attention to other important matters. After all, now that he has such a magnificent protective structure, surely his days of worrying about the safe-keeping and protection of his expensive and prized possessions are over, right? No one has ever seen a barn that rivals what he has. His structure is engineered to withstand hurricanes, tornadoes and anything else that mother-nature could muster. Further, his barn has the latest and greatest in security systems–an impenetrable fortress. Yes, he can now sleep easy, knowing that his property is protected and secure…. One problem, however–the farmer never bothers to put his property (machinery or animals) into his barn. Pretty silly, right? Yes, this is an obvious mistake that none of us would ever make (farmer or not). However, this analogy has direct and frequent application in the world of estate planning, unfortunately. One of the most common things we see with clients who have had prior estate planning work done are situations similar to this empty barn analogy. It is very common for a person to enlist an attorney to set up a trust for them and the process for establishing the trust is completed. However, very often, the assets for which the trust was established to protect are never actually put into the trust. This happens for various reasons, but again, it is a very frequent occurrence. Again, a trust that has not been properly funded or maintained with the relevant assets is akin to an empty barn–useless and a total waste of time and money. If you currently have a trust, please ensure it is funded with the assets you are looking to protect. The process of funding a trust is very detail oriented, and each type of asset is “funded” differently. This is yet another part of estate planning that should NOT be undertaken as a “self-help” project. If you elect to go the route of self-help (as unwise as that may be, in my biased view), then please at least take the time to get educated on how to properly do the job. While this is not rocket science, there are clear rules of law which must be followed to accomplish your objective. If you fail to do take the right steps, with each specific asset, one or more of such assets will remain outside of the trust. That means that whatever else is accomplished through said trust, your “stray asset” will be subject to probate and the costs and other potential negatives associated with probate.